Traveling is a gift that we do not only give ourselves, but our soul as well. It is the only intangible gift you can give yourself that would allow you a lifetime of memories and it is that one gift that would benefit both you and your soul. As trips happen so few and far in between in our perpetually busy lives, it would make the most sense if you created a travel itinerary to ensure that your sojourn would be as seamless and as smooth-sailing as possible. Furthermore, a well-crafted itinerary does not only guarantee that you get to make the most out of your limited time traveling, it assures you that every minute you have spent in a foreign place is dedicated to doing something. While some travelers wish to inject a bit of spontaneity into their excursions by operating sans a travel itinerary, you need a sense of cohesion in yours to ensure you get to do everything that you wish to do. This is especially true if you do not travel often and are only granted a few days in a year to do so. Having a semblance of cohesion in your travel plans will help you make the most out of your travel trip. If you are on a solo sojourn then you can go ahead and skip to the next part. 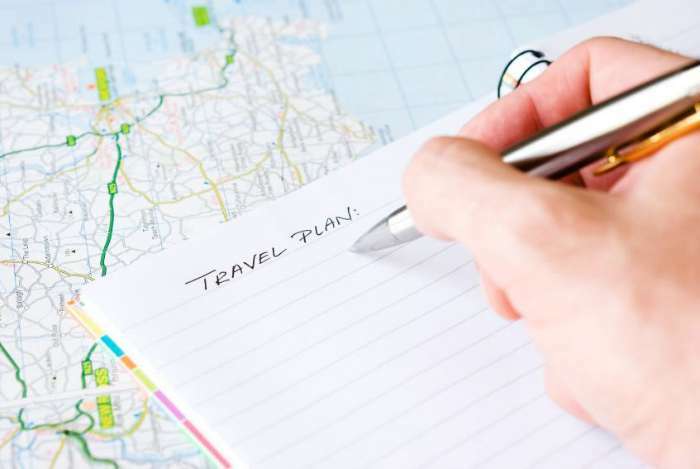 After all, it does not take much to plan your own trip and it should be relatively easy considering you are not taking into account the plans of others. However, the same cannot said when you are planning a travel itinerary for a group. Apart from considering what they wish to do, you should be sensitive about their needs and be sure to incorporate those in the creation of your itinerary. Furthermore, know what kind of travelers they are to determine whether they can rough it out while you are on the road or if they prefer to be in comfort and luxury. To ensure that you do not waste your time guessing what their wants and needs are, be sure to ask what their preferences are so that you can immediately integrate these into the travel plan. Traveling to unfamiliar places means that you have to brace yourself for the unexpected. What is unexpected to you can mean a range of things, so it is important to do your research beforehand before penciling anything down on your itinerary. In this time and age, information as regards anything is readily available online that all you would really need to do is access them. With this in mind, read up on articles and blogs about your travel destination and try to find out the best activities that would suit you and your companions if any. Before finalizing everything, make sure every that everyone is in agreement to the proposed plan of activities. Of course, it is only natural to expect yourself to inject a sense of urgency in your trip given that it might be that one place you would not be able to visit again anytime soon. However, while you wish to do everything you can in your limited time abroad, you should also take into consideration that you might have to make certain concessions for things that are beyond control. Moreover, you need to be realistic about your time and manage your expectations. There is a very likely chance that you would not be able to check every item in your travel itinerary and that is okay! Just be sure to prioritize your activities according to their significance and execute them appropriately. Remember, there are things beyond your control and more often than not, they would eat your time. With this in mind, make room for adjustment in your travel plans as well. Identifying your budget would often determine the kind of trip you are going to have. Alongside that, it would also help you determine the kind of accommodations you would book, the transportations you would take and the type of meals you are going to eat. Always be sure to account for your budget as you would not want to end up being frustrated with a plan because you would not be able to afford everything that is written on it.